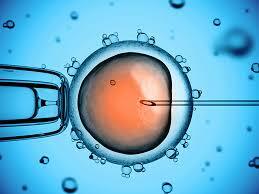 In vitro fertilization (IVF) is a complex series of procedures which is used to treat fertility or genetic problems. Unlike the common and simplest technique of artificial insemination where sperm is placed in the uterus and conception happens whereas in IVF involves combining eggs and sperm outside the body in a laboratory. Once an embryo or embryos are formed, they are then placed in the uterus. One cycle of IVF takes about two weeks. IVF is a complex and expensive procedure but it is most effective form of assisted reproductive technology. Only about 5% of couples with infertility look for it. However, from 1981, IVF and other similar techniques have resulted in more than 200,000 babies. Probability of having a healthy baby using IVF depends on many factors such as age and the cause of infertility. IVF can result in a pregnancy with more than one fetus (multiple pregnancy), if more than one embryo is implanted in your uterus. IVF is never be the first step in the treatment of infertility except in cases of complete tubal blockage. Instead, this method is reserved for cases in which other methods such as fertility drugs, surgery, and artificial insemination are failure.